ABOUT US - The Bentley Farm- Saddles, Tack, & More! Welcome to The Bentley Farm's website. Bo, © The Bentley Farm. This is a privately owned husband & wife operation located on a very small farm in the Appalachian Mountains of Southeastern Kentucky. We're small town proud! 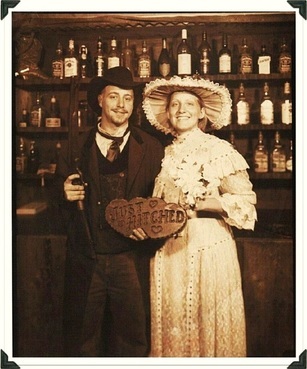 We deal in antique & vintage Western Americana, etc. We're also a wholesale dealer for several companies. We carry new/used/vintage/antique saddles, tack & accessories, pet supplies, home & garden, automotive, electronics, clothing & accessories, books & magazines, rebel flag merchandise, & much more. The Bentley's, Established 3-27-04. © The Bentley Farm. ﻿﻿﻿View a variety of different items available for purchase here on our website by clicking the "STORE" tab. You can also find us on eBay, eBay Classifieds, Etsy, & eBid. Visit us by clicking on the headers below. Taking care of animals is our true passion & although we do foster, adopt, and/or rescue whenever possible, we are NOT a rescue. Funds made from our online stores helps in funding for the care of our animals. 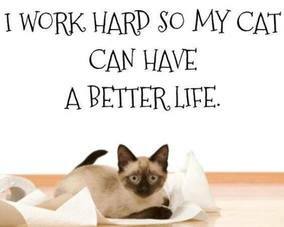 Be sure to check out all our beautiful furbabies located in the "MORE" menu section. Our FB pages & groups are listed in the "CONTACT US" menu section. Thanks for checking us out, come back soon! 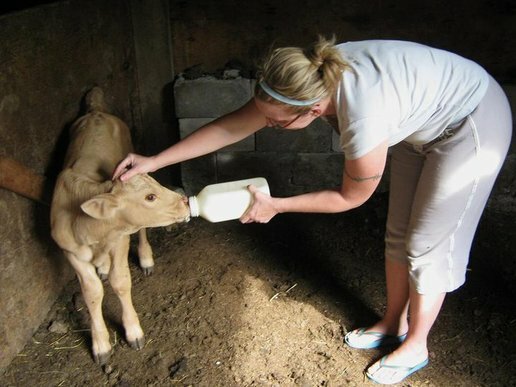 Bottle feeding an orphaned calf, 6/5/11. © The Bentley Farm.